As an indigenous people, the Sami have a different standing than other ethnic minorities in Sweden. The Sami are not immigrants, having lived in their settled areas long before the borders were drawn for today’s nations. 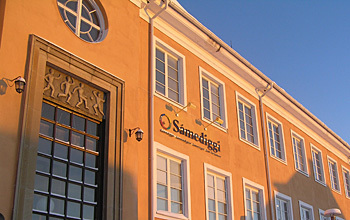 In 1977, the Swedish Riksdag recognized the Sami as an indigenous people in Sweden. The Sami parliament works for increased self-determination. The Sami want to be decisive in questions that concern them as Sami. Sami self-determination is not about forming a new state.